ZIMBABWE – Pilfering of goods by workers is an ongoing headache for some businesses in Zimbabwe – and even First Lady Grace Mugabe hasn’t been spared. Ten workers from Mugabe’s Alpha Omega Dairy in Mazowe in central Zimbabwe have been arrested for allegedly stealing goods due for sale this month, the state-controlled The Chronicle newspaper reported this weekend. It’s not yet clear what exactly was stolen from the dairy, which is one of the biggest in the sub-Saharan region. It manufactures milk, ice-cream, yoghurt, chocolate, fruit juices and sour milk, all at prices noticeably cheaper than its closest Zimbabwean competitors. The story in The Chronicle said the value of the stolen goods was $704.50. At least one online commentator pointed out that the figure did not sound like much. But then the president claimed two months ago that the dairy’s parent company, Gushungo Holdings, was struggling under a $20m debt. 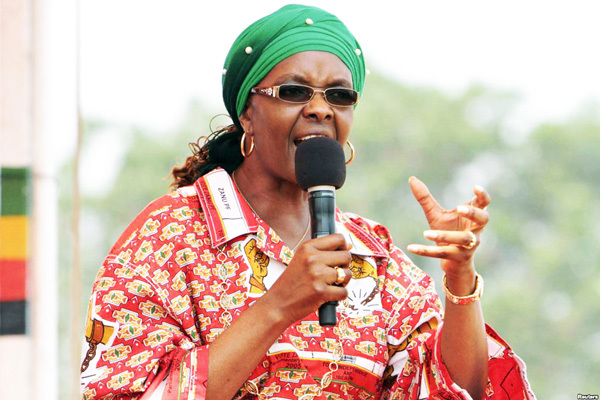 The Zimbabwe Independent reported in October that Grace Mugabe was “fuming over huge losses” at her dairy and believed some managers were “loot[ing] it dry.” President Robert Mugabe, himself, has also recently spoken angrily about stealing taking place at the dairy. In the case reported by The Chronicle, a factory manager, a number of warehouse assistants and a security guard were alleged to have loaded extra goods onto delivery trucks which were taking stock from Mazowe to a depot in Harare. The extra goods were then sold on and the profits shared between the 10 suspects, the paper said. Earlier this year, the Daily News reported that a 38-year-old worker from the dairy was tortured by police after he was arrested on allegations that he helped defraud the firm of more than $132 000. A Bulawayo warehouse belonging to the dairy was hit by armed robbers in October last year. The robbers took cellphones and around $1 000 in cash. One of them was later caught and handed a 17-year jail sentence.